So you want to get into photography, do you? You’ve gone ahead and bought your first entry-level DSLR The Best Entry-Level DSLRs For New Photographers The Best Entry-Level DSLRs For New Photographers If you want to take your photography skills to the next level, or you know someone else who does, then there's no better way than to enter the world of DSLR cameras. Read More along with one or two useful lenses Zoom Lenses vs. Prime Lenses: What's the Difference? Zoom Lenses vs. Prime Lenses: What's the Difference? After graduating from a kit lens, you’ll need to decide between a prime lens and a zoom lens. But what exactly is the difference? Which one is better for you? Read More . Maybe you’ve also watched some YouTube photography channels Learning Photography: 5 YouTube Channels to Become a Pro Learning Photography: 5 YouTube Channels to Become a Pro There are hundreds of channels dedicated to photography lessons. The good ones are buried in the noise. We picked five of the best for you. Read More to learn the basics. Now you’re ready to start shooting. But wait! 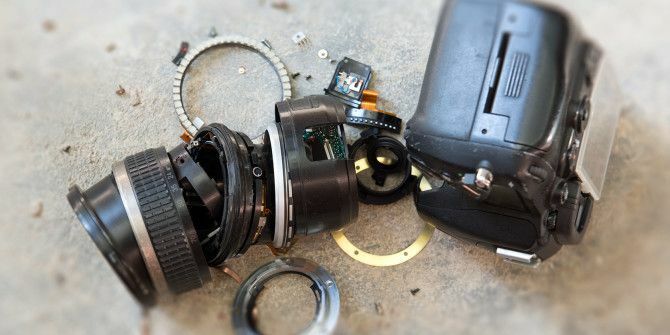 Before you head out, there are several common mistakes that you’ll want to avoid if you want to maximize the lifespan of your DSLR and protect it from damage that could render your investment moot. A little bit of caution can go a long way. Modern DSLRs are built with a wide range of temperatures in mind, but that doesn’t mean you can be careless about it. Excessive heat can wreak havoc on your camera and there’s no reason why that should ever happen because it’s easy to prevent. What happens under extreme heat? The seals that keep out dust and moisture can dry out and the lubrication on moving parts can evaporate. Sometimes you can repair this damage, but sometimes you can’t. Excess heat can also impact your battery. Never leave your DSLR sitting in direct sunlight. Not only will it heat up quickly, but if you keep doing it too often, the UV rays can warp or deteriorate the body over time. Also, never leave your DSLR in an enclosed space on a hot day. Even if it’s only 90F outside, the inside of a car can be 20–30 degrees hotter depending on the circumstances. You DO NOT want to expose your camera to that kind of stress. On a hot day, especially when it’s climbing close to 100F, you should actively take breaks of a few minutes to cool down your gear. If your camera starts to malfunction, shut it off and take it to a service center ASAP. Even if you never shoot in extreme temperature environments, you still need to be careful about moving from hot-to-cold or cold-to-hot, such as when you enter or leave your home. The big problem? Condensation. Condensation forms when moist air is warmer than a particular surface. You know how a cup of ice water (cold surface) on a mid-summer day (warm air) can start to “sweat”? If you aren’t careful, the same thing can happen inside your DSLR and damage the imaging sensor. How can you prevent this? Try to avoid shooting in overly humid environments when you can. More importantly, never bring a cold camera straight into a warm room. Instead, you should place your camera into a sealable bag — while you’re still in the cold — and then bring it into the warm room. This allows the camera to gradually warm up without any moisture condensing within it. Same thing with batteries. Usually you’d keep them warm by keeping them close to your body in cold weather, but don’t let them get too warm otherwise they will create condensation inside. Cool them just a bit before inserting. As with all electronic devices — including laptops and keyboards You Just Spilled Water Or Coffee On Your Laptop - Here's What You Should Do You Just Spilled Water Or Coffee On Your Laptop - Here's What You Should Do Okay, let's take a deep breath and deal with the emergency first. Any emergency requires us to take a moment or two and assess the situation. That way we aren't just reacting, we are acting... Read More — water is one of the worst things that could get inside. Not only can it cause rusting if it touches the wrong components, it can cause a short and kill the device altogether. The most common mistakes to avoid: rain, snow, spills, and dropping your camera into puddles, pools, etc. For shooting in rain and snow, try cutting a hole in a sealable bag and sticking the lens through. It keeps the body somewhat protected. For full protection, use waterproof housing (expensive). If the weather is really bad, you may just have to postpone for another day. If your camera contacts water, don’t freak out but don’t hesitate. Speed is important. As long as you don’t run electricity through it until it’s completely dry, it should be fine. As soon your camera gets wet, shut it off and immediately remove the battery. Whatever you do, do NOT turn it back on — even out of curiosity “just to see if it’s okay”. If your camera turned off on its own, it may already be too late. In any case, stick the camera in a sealable bag with a few dehumidifying packets of silica gel and take it directly to a professional camera service center. If there’s one thing you absolutely DO NOT want getting inside your camera body, it’s sand and grit. Despite how insignificant a single particle might seem, it can cause a lot of damage when moving parts are involved. Cosmetically speaking, sand can scratch surfaces and ruin the resale value of your DSLR Why You Should Never Buy a New DSLR Camera (And Always Buy a Used One) Why You Should Never Buy a New DSLR Camera (And Always Buy a Used One) Here's why DSLR camera bodies and camera lenses should always be bought used -- especially if you're a newbie shopping for your first entry-level DSLR or a hobbyist replacing your first model. Read More . But once it gets inside, it can jam certain components like the shutter. It can also scratch the battery, which could be dangerous. Can you still take your camera to the beach? Of course, as long as you’re extremely careful. Never change lenses, switch SD cards, or replace batteries when you’re out in the open, especially if it’s a windy day. Avoid shooting low to the ground. Use a UV filter to prevent sand from hitting your lens. And in extreme cases, you can use waterproof housing. If you DO get sand in your DSLR, don’t try to clean it yourself. Take it to a professional camera service center instead. Sand is serious business. 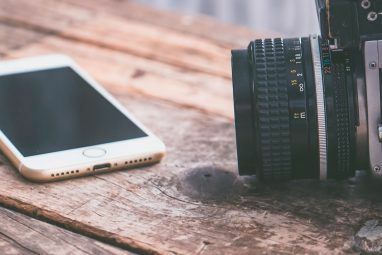 As a photographer, you wield a device worth hundreds or thousands of dollars right in the palm of your hand. Do you trust yourself to never drop it? One mistake, one time — that’s all it would take. Are you willing to gamble on that? And I’m not just talking about clumsiness, carelessness, laziness, etc. Even the most dexterous and attentive photographer gets tired after a long day of shooting, which can lead to sweaty palms, shaky hands, or a weak grip. The Peak Design Slide Camera Sling is the perfect balance between price and quality. The strap itself is robust with aluminum buckles for quick comfort adjustments, but the hooks are flexible enough to be used in several different ways too. Don’t want a cumbersone body strap? Then at least get a wrist strap, like the Peak Design Cuff. It’s so important that we consider it an essential item in every photographer’s gear setup 9 Essential Photography Gear Items Every Camera Newbie Should Own 9 Essential Photography Gear Items Every Camera Newbie Should Own Many photography accessories are only situational. Here are the most essential gear items, useful for any type of photography. Read More . Don’t settle for the dinky little strap that came with your Canon or Nikon. A small investment here can prevent a lot of potential damage later. Photography can be an expensive hobby and I know how tempting it can be to cut corners here and there. Trust me when I say that — cutting corners is my specialty. 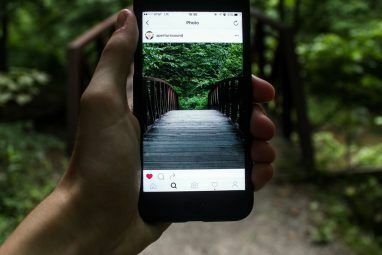 I’ve even written about how to be a money-conscious tech enthusiast How to Be Frugal While Still Enjoying Tech & Gadgets How to Be Frugal While Still Enjoying Tech & Gadgets Just because you're being frugal doesn't mean you can't enjoy tech! Here are some tips on how to not break the bank with tech purchases. 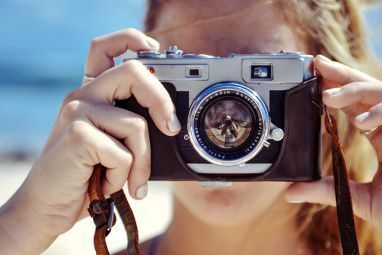 Read More , ways to save money when buying DSLRs 5 Money-Saving Tips You Should Know Before Buying a DSLR 5 Money-Saving Tips You Should Know Before Buying a DSLR Here are some helpful tips for making photography a more financially-manageable activity. Read More , etc. And if there’s one area where amateur photographers like to cut corners, it’s in the accessories. Need to save as much cash as possible in order to afford that next lens, right? Lenses are the big wallet busters after all. But you should never cheap out on anything that’s meant to protect your gear. Maybe you only want a camera bag for the convenience factor, but you shouldn’t forget that your bag is the first line of defense between your gear and the world. You do NOT want to deal with non-robust straps, plastic joints that could snap under moderate weight, cases that shatter when dropped from the lowest of heights, bags that could split right open, etc. It’s the easiest way to accidentally destroy your gear. The Mindshift Rotation 180 Backpack is as rugged as most amateurs and hobbyists might need. It’s large enough to fit several cameras and lenses, it’s made of high-quality materials, and it has a belt, a memory foam back panel, a tripod attachment, and a waterproof cover. A bit pricey? You bet. There are cheaper alternatives out there — no need to spend this much — but the point is that this thing offers so much more protection than a $20 messenger bag. Don’t skimp. You’ll regret it. Got Any Other DSLR Protection Tips? Now that you know what NOT to do with your brand new DSLR, you may also want to brush up on mistakes that are draining your DSLR battery 10 Mistakes That Are Draining Your DSLR Camera Battery Life 10 Mistakes That Are Draining Your DSLR Camera Battery Life Tired of a short-lasting camera battery? It might be that you're making a few costly mistakes. Here are a few tips for squeezing more juice out of your DSLR battery life. Read More . After all, a camera body is absolutely useless without a live battery in it! And if you’re a newbie, consider rounding out your knowledge with our guide to buying tripods The Camera Tripod Buying Guide For Beginners The Camera Tripod Buying Guide For Beginners Tired of camera shake ruining your photos? Want to take time-lapse shots or long exposure photos? Tripods allow for all of these, so if you don't have one, why not? Read More along with these great YouTube channels for learning photographers Hands On With Your DSLR: Best Camera Tips For The Amateur Photographer From Youtube Hands On With Your DSLR: Best Camera Tips For The Amateur Photographer From Youtube There are umpteen resources on learning how to photograph. And believe me; it is as easy to get drowned in the quicksand of learning as it is to be buoyant with nuggets of wisdom. Photography... Read More . Hope that helps. If you have any other DSLR maintenance tips that we missed, please share them with us in a comment down below. Otherwise, happy shooting! I am not spending $200+ on a camera bag. Just be careful.